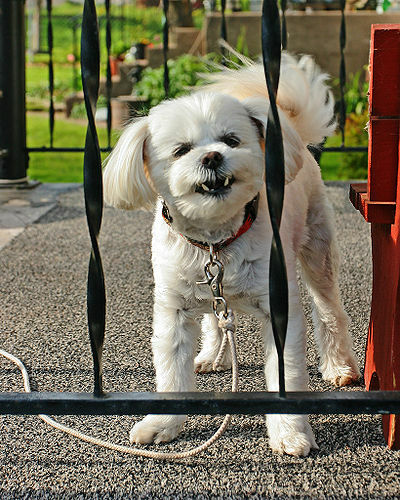 When dogs growl, they are communicating their feelings. Growling means that something is upsetting them and they are trying to let you know what it is. Our first instinct is to punish the dog for this behavior. After all, how dare our best friend threaten the hand that feeds and pets him. But if we do punish, we remove the dog’s ability to warn us before he’s ready to snap or bite. 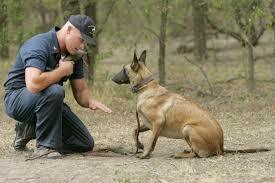 Punishment can also encourage the dog to become more aggressive because now he’s not only upset, he may be fearful. The trick is to stop what you’re doing. If you think his growl won’t be immediately followed by a bite, stand still and be quiet. Try not to make eye contact as this can be looked upon as a challenge. When the growling stops and the dog is calm, move away unhurriedly. This lets your dog know you’re leaving because he is calm. Try to determine the reason that precipitated the growling. Did you wake him from a deep sleep? Did you touch him in a sensitive spot? Were you trying to take something away from him? Forcing him to do something that he wanted no part of? When you discover the reason for the growling, you can train him to change his unwanted behavior by using positive methods. This is a very timely article for me as I recently had this experience with my sweet 4 year old pitbull mix, Murphy. And of course, in my amazed state, I reacted poorly. I had found an old toy in the garden and gave it to Murphy. She promptly took possession and went into the bedroom with it. I walked in and to my utter astonishment Murphy started growling. I was shocked as it was the first time this happened as she is normally the sweetest, most loving dog I’ve ever shared my life with. Of course I did what I shouldn’t do, stood over her and started screaming at her to stop. As I bent to take the toy from her, she lunged for me. Luckily I was too fast for her and I should have known better. Had I followed my own advice, the situation would not have escalated to that point. I should have respected her warning. I left the room and called to her to put on her leash. She came running and after securing her, I was able to get the toy and dispose of it. However I will re-train her to allow me to take things away from her. 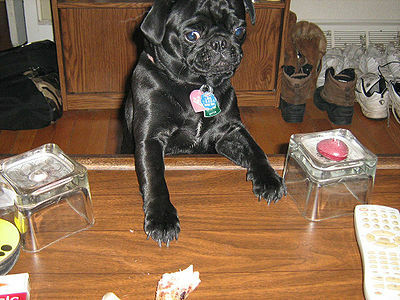 If Murphy continues to be possessive about objects, I will make an exchange – her possession for a tasty treat. I will approach her with a treat and at first just toss a piece a distance from her favored object. Doing this several times, I will then take the object and continue giving her treats. At some point she’ll be ready to exchange the treat for the object on her own. I’ll continue to do this until she drops the object when I ask her to and accepts the treat from my hand. If you choose this method, please don’t put yourself in any danger. If the unwanted behavior continues I would recommend seeking the professional advice of an animal behaviorist. Another suggestion to avoid aggressive behavior in your dog – don’t suddenly bend over your dog when s/he is in possession of a favorite object, don’t show your teeth and playfully make growling noises, don’t suddenly wake your dog or suddenly give a hug. Warn children when playing with a dog to keep their faces away. I do wonder if there was something special about that toy that made her so possessive as it’s never happened before. Murphy is not even possessive about food with me. Although they seem to get along well, I recently added a 3rd rescue dog to our home and my daughter suggested that perhaps Murphy is feeling a little left out. Any thoughts would be most welcome.